There are tons of amazing services on the web. Why reinvent the wheel, when you can bring these resources right into your business? Leverage their strengths for your customers, inside your own site, working with your existing systems. Integration takes expertise and experience. 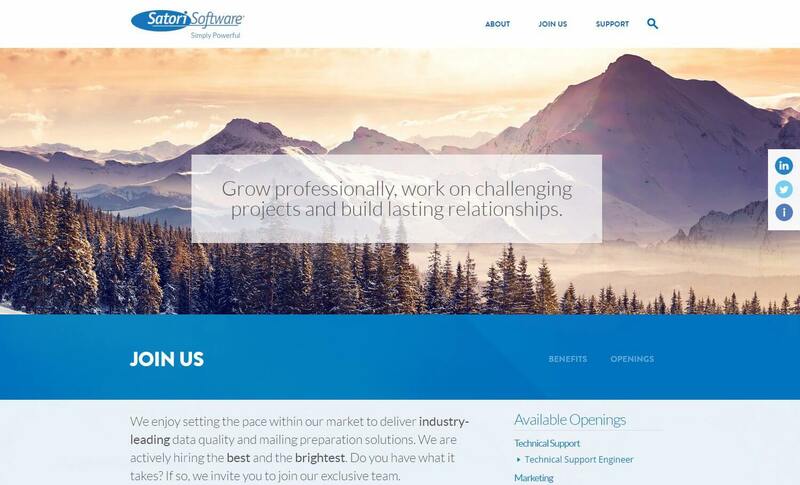 Software company based out of Seattle, WA specializing in data quality and mailing solution software. We built a custom website that integrated with existing platforms while bringing a fresh look to their online presence.